The oldest general insurer National Insurance Company Limited (NICL) offers myriads of useful features with their car insurance plans. Incorporated in December 1906 in Kolkata, National Insurance spreads a wide network across India to target different sector of insurance customers. This is the first leading general insurer that initiated product customization for both rural and corporate sector. And when it comes to car insurance, then National car insurance name comes first. This fully Government owned insurer offers a wide range of effective motor insurance products which can be helpful in dealing with different types of situations on road. So if you own a car, you can buy National car insurance policy without any second thought. Investing in a motor insurance with National Insurance will be a perfect decision for you. ✔Under National car insurance policy, you can get third party liability cover upto maximum of 7.5 lakhs. 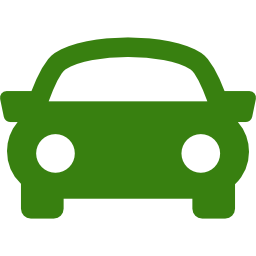 ✔National car insurance policy covers vehicles used for social, domestic and professional purpose. ✔NIC offers direct cashless claim settlement over 3200+ network garages across India. ✔Policyholders of the company can avail discounts on premium in addition to No Claim Bonus. ✔National motor insurance offers discount for approved anti-theft devices installed in the vehicle. ✔Concession for specially designed or modified vehicle for blind, handicapped and mentally challenged persons is included in National motor insurance. As per Motor Vehicle Act in India, it is mandatory to have third party auto insurance plan, if you have a vehicle. However, apart from the legal compulsion, it is essential to buy a motor policy, because when we are on road, we do not know which unavoidable situation is waiting for us that can be thorny to handle. So considering this factor, it is best to be on the safe side and a proper auto insurance plan can save you in this aspect. And car insurance from National Insurance Company Limited (NICL) will be an ideal decision in all aspects. Below we have discussed some of the reasons for which you will get to know why National car insurance is the perfect choice for all the car-owners. ✔You can easily buy National car insurance policies from company’s online portal using credit, debit cards and internet banking anytime without wasting your valuable time. ✔NIC offers 100% protection for your four wheeler. ✔With National car insurance online, you can avail hassle-free claim settlement, instant renewal and get free quotes. ✔Instant online renewal quotes are available in NIC’s website. ✔You can avail 24*7 claim settlement assistance services under National vehicle insurance scheme. ✔National motor insurance offers some effective add-on covers. ✔As per National car insurance online, on choosing higher voluntary excess, you will get discount on insurance premium. Generally, you will be offered two types of car insurance plans and coverage under National Insurance Company in India. These are Liability Only Cover and Package or Comprehensive Cover. This National vehicle insurance plan provides protection against any legal liability caused by an accident involving your four-wheeler. This scheme does not cover any damage to your vehicle. It only provides coverage for third party injury or death and property damage to third party upto the maximum of Rs. 7.5 Lakhs. Own Damage cover: This National vehicle insurance policy provides protection for the insured vehicle against damages caused by natural calamities such as fire, explosion, self-ignition or lightning, flood, earthquake, typhoon, storm, tempest, hurricane, inundation, cyclone, hailstorm, frost, landslide etc. Apart from these, damages or losses due to man-made disasters like accidents, theft, riot, burglary, strike, terrorist activity, malicious act, and any damage in transit by road, rail, inland waterway, lift, elevator or air are also covered by this National vehicle insurance plan. Personal Accident Cover:The Company provides personal accident coverage in the event of an unfortunate accident while you are driving the four wheeler. This National motor insurance policy can also be extended to the co-passengers and it provides a lump sum amount to the driver or co-passenger. ✔Zero Depreciation:With this add-on cover, you will get the total value on your four wheeler regardless of depreciation. ✔No Claims Bonus:This add-on cover of National car insurance online offers discount on premium while renewing the policy which entitles as a No Claim Bonus or NCB. What are the Exclusions of National Car Insurance Policies? Although National motor insurance policies provide a wide range of coverage to meet your requirements during any emergency, but there are some exclusions. ✔Any consequential loss, mechanical or electrical breakdown, wear and tear, failures or breakages are not the part of National car insurance policies in India. ✔National vehicle insurance policies in India do not provide coverage for tyres damage unless the four wheeler is damaged at the same time. ✔Any accidental loss or damage occurred while driving the vehicle under the influence of alcohol is not covered. ✔Any loss due to failure of parts is also excluded from the policy. ✔You can renew your National car insurance online policies at company’s official website. ✔First, select on ‘Motor Insurance’ tab and then click on ‘renew’ tab to initiate your National car insurance renewal process. ✔After that, enter policy details and click on ‘Renew Policy’ for instant National car insurance online renewal. ✔Thereafter, you will be diverted to the premium payment page. Pay the premium digitally for the successful completion of your National Insurance car policy renewal. ✔Once you have done the payment online, you will receive an authentication mail in your registered mail id. ✔Last and final step of National car insurance renewal is you have to save or print the receipt of premium deposit for future use. 1.How can you tell who is at fault in a car accident? Sometimes it’s easy to determine who is at fault in a car accident as you have to identify who the careless or negligent one in the accident. However, in some cases, it can be very difficult. In such situations, it is up to the police, court and the insurance company to point out the faulty one in a car accident. They investigate the matter thoroughly to determine whose fault it was in a car accident. 2.Do you need to have car insurance to drive someone else's car? You must consider car insurance before driving a car, whether it is yours or someone else’s. You need to make sure that you are covered under car insurance before driving your or someone else’s car. It doesn’t matter if the car insurance is your own, you’re covered under someone else’s car insurance policy or you buy non-owner’s car insurance. You need to have car insurance before driving a car at all cost. 3.Can I drive someone else's car on my insurance? If you assume that you will be totally covered when you drive someone else’s car on your third party car insurance, you are wrong. However, comprehensive car insurance may help you in this case. But it’s still advisable to check with your car insurer before you hop in someone else’s car. 4.Can you drive someone else's car if they are with you? You can drive someone else’s car if they are with you but you have to make sure that you have a valid license and you are also covered under car insurance in order to avoid any complications that may result due to an accident. 5.Can I drive someone else's car if I’m fully comprehensive? Having a fully comprehensive car insurance plan doesn’t set you free from all the worries when you drive someone else’s car. Driving other car is acceptable for any emergency, not if you want to just drive for fun. So it may be subject to the claim when you meet an accident while driving someone else’s car. Every car insurance provider does not cover damages when you drive someone else’s car even if you have full comprehensive car insurance.